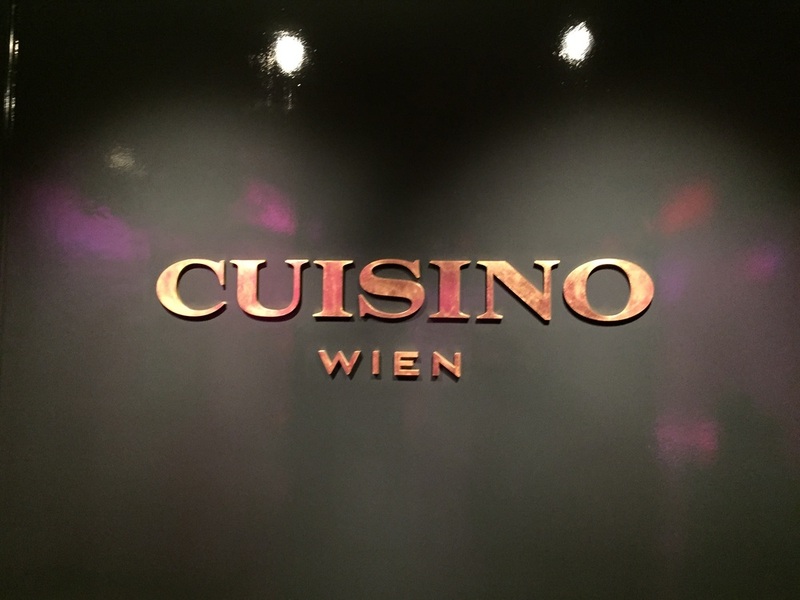 On our city trip to the Austrian capital we were kindly invited by the Casino Vienna to visit their in-house restaurant Cuisino. The Casino is situated in a prime location on famous Kärtnerstrasse right in the historic city center next to the glamorous opera house and the Stephansdom. Upon arrival, we were immediately directed by a very nice employee to check in at a separated reception, dedicated for the elegantly dressed area. The check in went over very quick and flawlessly. Afterwards, a very nice gentlemen accompanied us to the elevator and once we arrived on the second floor, we were greeted with a glass of Prosecco in the new “Oval Salon”. 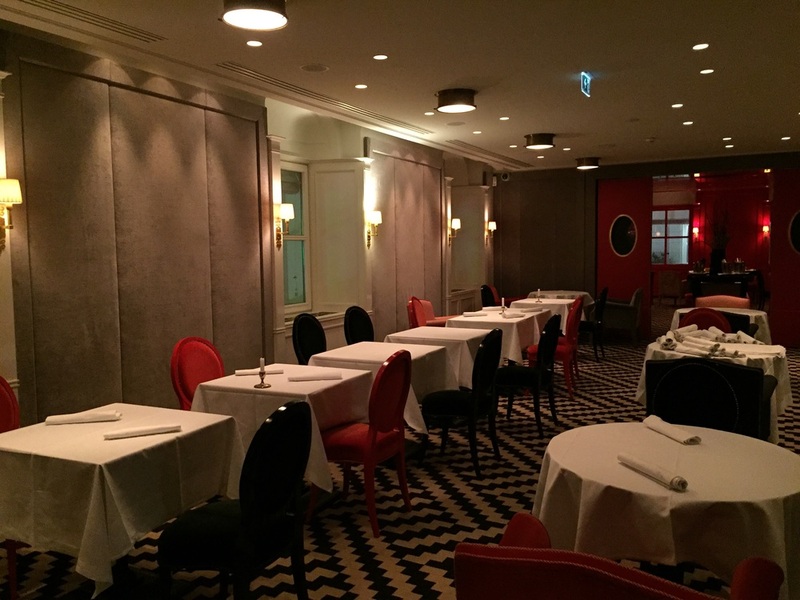 Then, a waiter showed us to our table in the restaurant Cuisino, right after I noticed the stunning design with chic red walls and decent color schemes. We took seat and the waiter handed us over the menu. Due to the fact that we have gotten Dinner&Casino vouchers, we had the choice between two menu options: the Menu Noir or Menu Rouge. While my colleague chose the Menu Noir, I went for the Rouge one. Before we received our first course the waiter brought a basket full of fresh bread by famous bakery Joseph. It really was something special that you can’t get anywhere else. Shortly after we also received an amuse bouche which was goat cheese on orange. A very nice and attentive touch to begin an elegant evening. As a starter we had duck fillets on a refreshing salad and with a cream of avocado. Although it does not look and sound attractive, it was amazing! 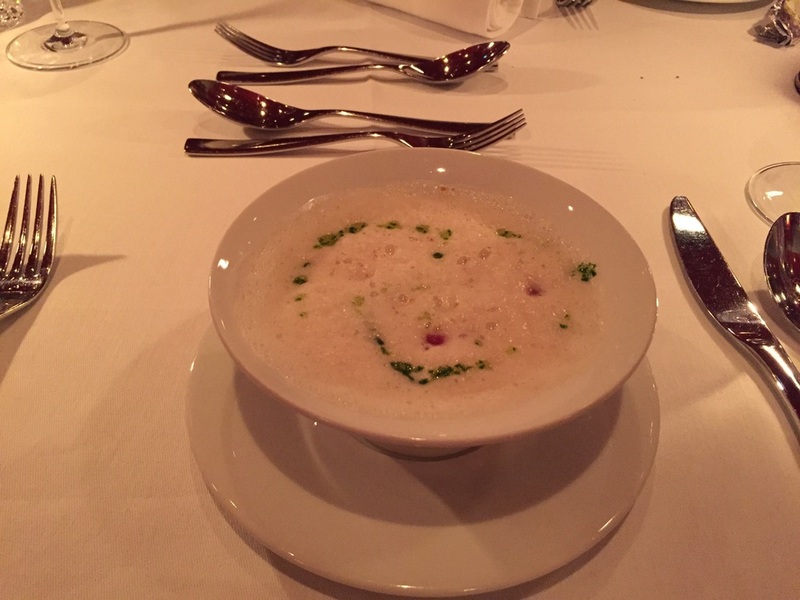 Before we moved over to our main courses, we were served a soup of black salsify with cubes of salami. The main course, which still remains the highlight of the menu, was a pork fillet on potato puree, salsify and excellent sauce demi-glace. Just as we finished our dessert, one of the casino employees came up to our table and offered us a tour of the casino. He showed us around all the different rooms of the casino and gave us some instructions on the games that were played. First, we walked down a wooden stairway into the card games area. They offer a wide selection of card games starting with Blackjack, Easy Hold’em, Macau Baccarat as well as a few other variations of Blackjack. Then we moved on to the roulette room. There, they had all kinds of roulette tables ranging from American roulette to French roulette and some other versions of roulette that I have never seen before. One type of Roulette was with a wheel that had two rows of numbers spinning in the opposite direction. On the second floor, the Casino offers a wide variety of Gambling machines where you can try to hit the jackpot or even remotely play at the real roulette tables downstairs. 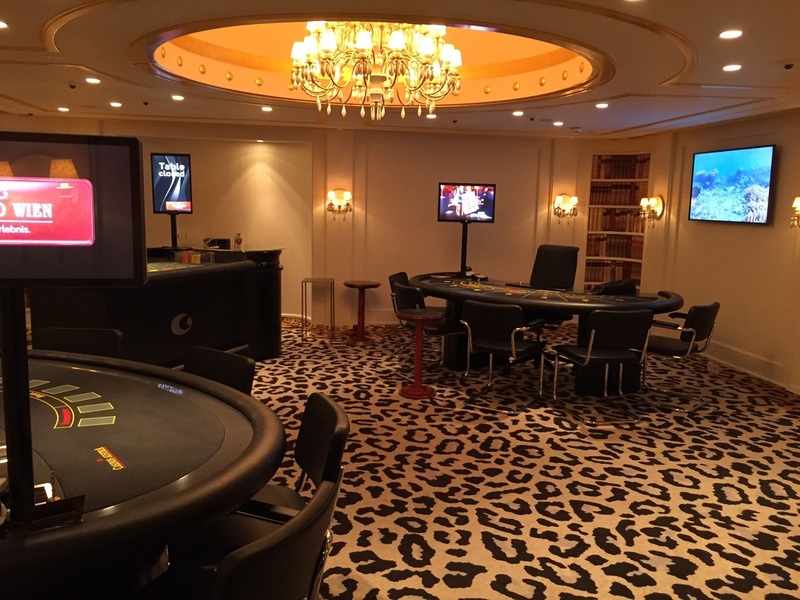 Finally, the main highlight was of course the special VIP section with three different tables: Roulette, Blackjack and Macau Baccarat. The Sections also includes a private, complimentary bar and is separated off the rest of the casino. The VIP room is only opened for special high-end guests who gamble with a remarkably higher table limit. In this room 10k - 20k hands are quite usual to see. All in all we had a very good time at the Casino Vienna and at the end even a few more bucks in our wallets than before. Thanks Casino Austria for the great and unforgettable evening. In fact this is a great place to go when looking for a place to spend some hours with friends or relatives. 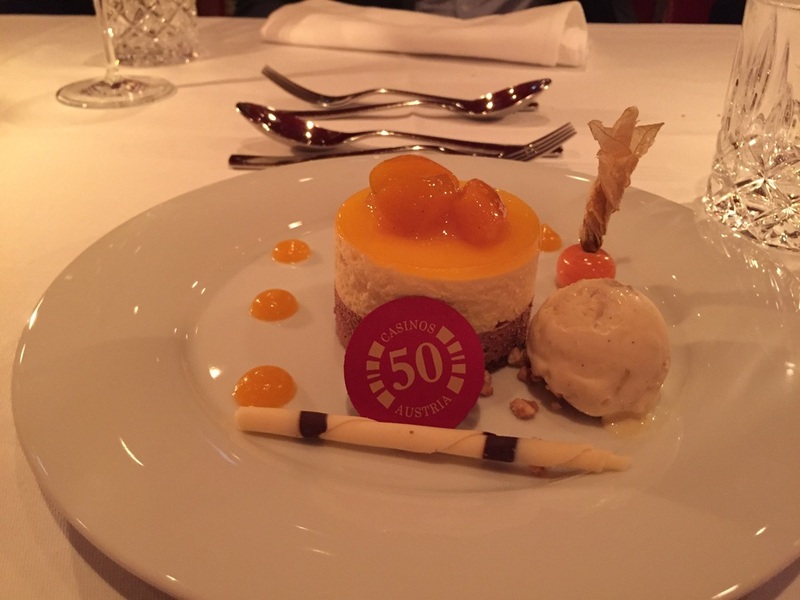 We were guests of Casinos Austria and our complete evening has been sponsored. However all above written expresses our own opinion and has not been influenced. Six Italian Luxury Hotels you did not know!